In Learning Activity 1 you learned how people survive in the various climate regions of North Africa. Today, North Africans are active in a variety of economic systems: they raise food, produce goods, export minerals, and work in services industries. 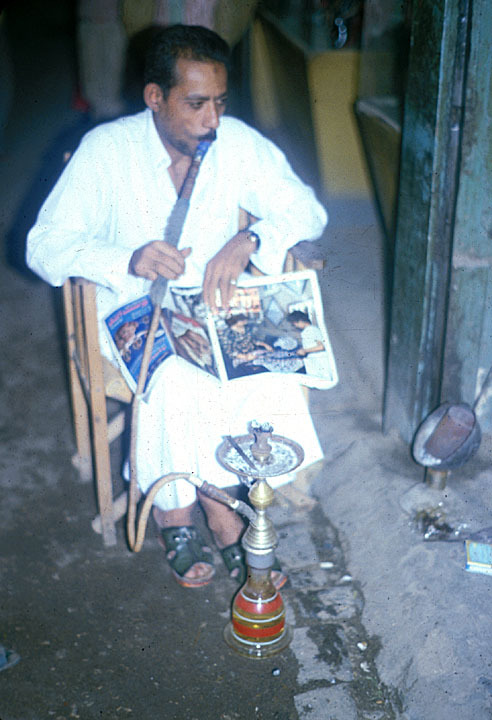 When we talk about economics in North Africa and other countries, we are really talking about two interrelated types of economic behavior: formal and informal. Formal economic behavior is what you’ve probably studied in Social Studies, like buying and selling goods, paying taxes, making products in factories, etc. These activities are called formal because they can be regulated: workers and customers have safety protections, the government can exact taxes, etc. Informal economic activities are those that are not regulated. For instance, when people barter, the government doesn’t or can’t regulate the exchange so these are informal economic activities. How much of a country’s economy is based on informal or formal economic activities varies by country. In the United States, most of the economy is formal: we use money, are taxed, produce goods and are paid for our labor, etc. We do engage in informal economics all the time though—if you’ve ever offered to do your sibling’s chores this week so that she/he will do yours next week, you’ve bartered! In many parts of Africa, the informal economy is very important. Women barter with each other over who will do which domestic chores, men negotiate whose animals will plow the fields, and people trade homemade crafts and surplus foodstuffs all without the regulation of the government. For a review of basic economic activities in all of Africa please link to Module Nine African Economies, Activity One, Needs and Wants. Egyptian Women Weave at Home to Trade for Goods (Informal Economy) © Africa Focus: University of Wisconsin. 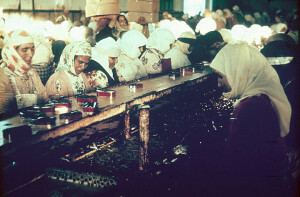 Moroccan Women Work in a Sardine Cannery (Formal Economy) © Africa Focus: University of Wisconsin. Agriculture is still one of the most important sectors of the economies of North Africa, both for feeding the population and for export. The number of people employed in agriculture varies by country: about 50% in Morocco, 40% in Egypt, 25% in Algeria and probably even fewer in Libya which imports close to 75% of its food. 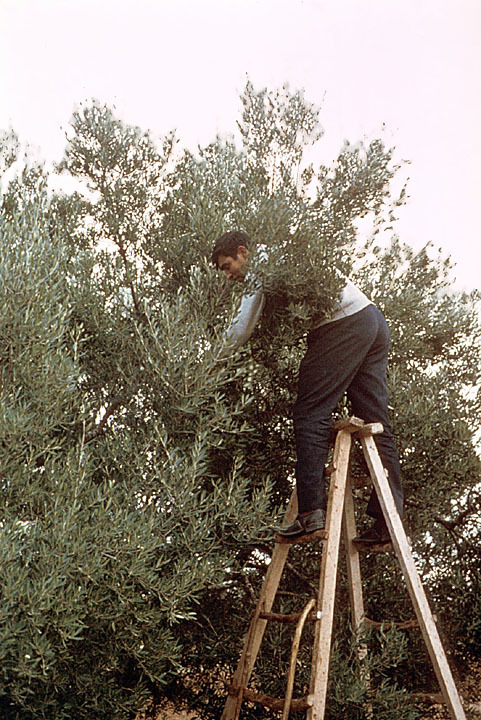 The region depends on its fertile areas to grow crops, including oranges and other citrus fruits; grains like barley, wheat, oats and even corn; vegetables, including tomatoes that are shipped to the U.S., onions, peppers and eggplants; legumes like lentils and chickpeas; and other Mediterranean and arid produce, like nuts, olives, grapes (for eating and to produce wine), dates and figs in abundance. 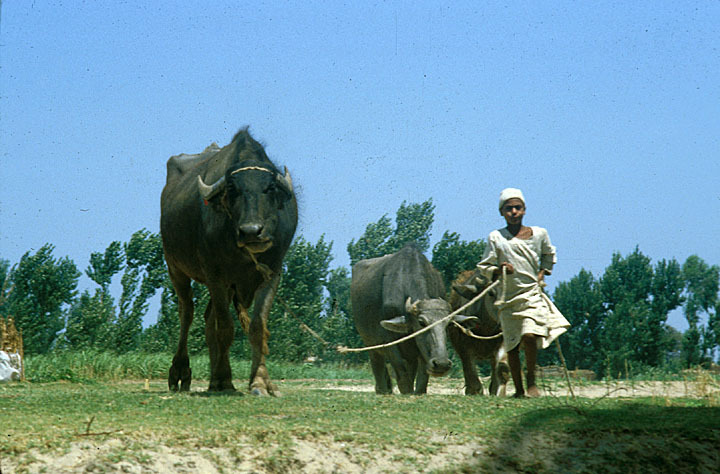 In the Nile Valley, Egyptians also cultivate crops that need more water, including sugarcane, cotton and even rice. 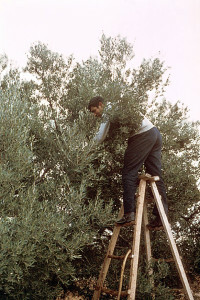 Tunisian Olive Harvesting © Africa Focus: University of Wisconsin. 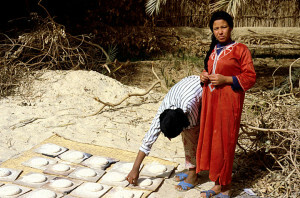 Egyptian Woman Prepares Bread To Sell © Africa Focus: University of Wisconsin. Moroccan Wheat Harvest in Atlas Mountains © Africa Focus: University of Wisconsin. Marginal lands in North Africa provide scrub for a large livestock livelihood, especially for sheep but also for cows, goats, poultry, and, of course, camels, horses, donkeys, and mules. The seas provide fish both for consumption and for export. 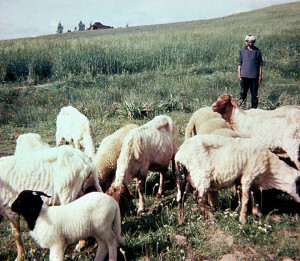 Moroccan Herders Graze Sheep © Africa Focus: University of Wisconsin. 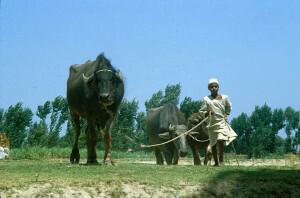 Egyptian Boy Guides Water Buffalo © Africa Focus: University of Wisconsin. Much of North Africa is mineral rich. As you remember from Learning Activity Three the Western Sahara is a major phosphate producer. 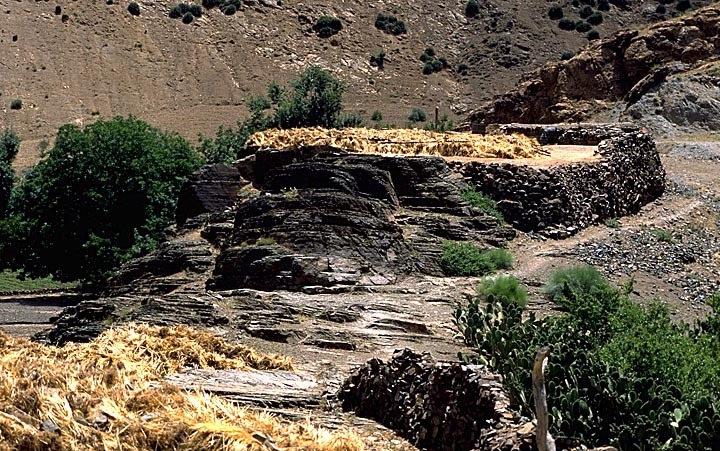 The region also has deposits of other minerals including iron ore, silver, zinc, copper, lead, manganese, barytine, gold, salt, limestone, gypsum, and coal (in Morocco). Petroleum and natural gas exports provide most of Libya’s revenues, but the rest of the region also contains sizeable deposits of these resources, especially Algeria and Egypt. Lastly, North Africa also produces forest products, including furniture and cabinet wood, and is a leading producer of cork. 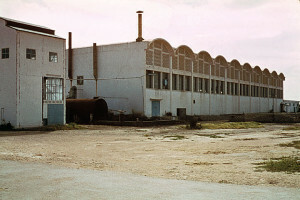 As the countries of North Africa industrialize, their manufacturing and production capacities tend to start with their major resources exports and branch out into other industries. For example, Egypt has grown a flourishing textile industry from its cotton resources, Morocco produces leather goods from its livestock resources, Algeria refines and bottles its olive oil, Tunisia manufactures wood products, and Libya refines its oil and natural gas resources. 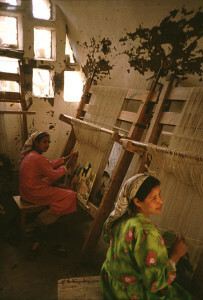 Across the region these and other industries—including textile and leather goods manufacturing, food and beverage (especially wine) processing, construction materials fabrication, chemical and fertilizer producing, metallurgy including iron and steel making as well as jewelry crafting, and even paper milling—are providing increasing employment for urban workers (as well as rural workers in areas like mining minerals, raising livestock, and extracting oil and gas). 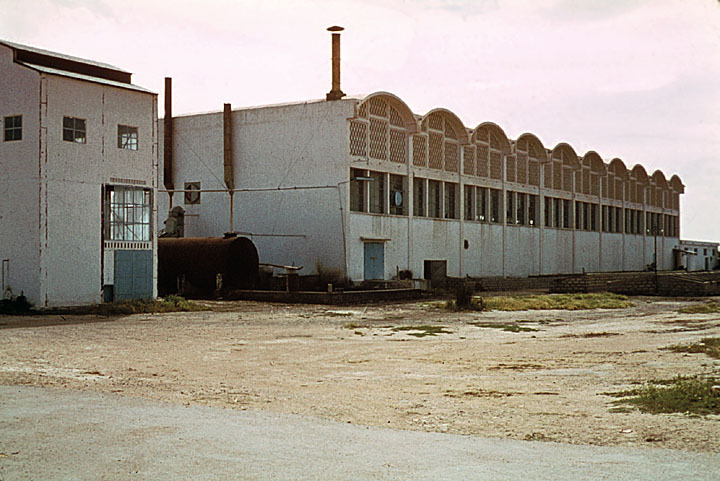 Tunisian Olive Oil Refinery © Africa Focus: University of Wisconsin. Like in East Africa, tourism is of increasing importance in North Africa—Morocco and Tunisia are high tourism earners. 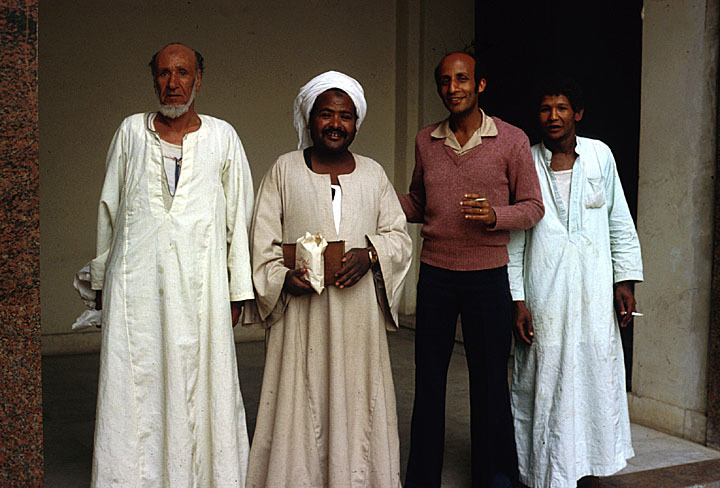 You already learned about Tuaregs in the Sahara inviting tourists to learn about and experience their traditional lifestyles in Learning Activity 2, but not all tourists necessarily want to “rough it” in that manner. Along the coasts and the interior of the region are a variety of luxury resorts and hotels, mid-priced business convention centers, and budget accommodations for backpackers and “adventure” tourists. This has important implication for the political structure of these nations as well as for the people who live in these countries. Stability and safety are absolutely necessary in attracting tourism so governments that can contain popular unrest and stability can actively seek tourism as an alternative economic industry. Hence Morocco, Tunisia, and Egypt are popular destinations while the recent instability of Algeria and Libya make these less appealing to European, American, and Asian travelers. Tourism also increases both formal and informal economic opportunities as North Africans find formal employment with hotels and touring companies and offer their informal assistance as guides or open their homes to travelers. North African economies also depend on the remittances of emigrated workers. 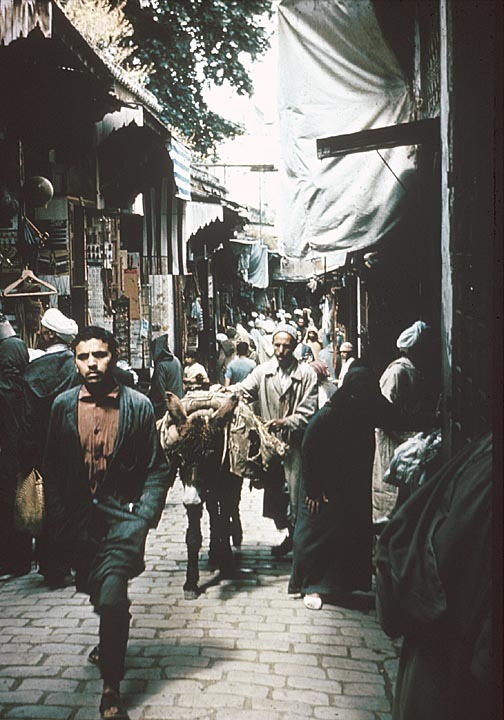 When North Africans emigrate to Europe (particularly to France, Germany, Italy, and Spain) or other regions of the world to find employment, they often send a portion of their earnings back to their families at home. These remittances are vital to the economies of North Africa, in that they continually add income to the region’s people. However, this is informal economic activity and cannot be regulated until inhabitants spend the money on their foodstuffs and other necessities. It is almost impossible to accurately measure remittances, but many agencies, including the United Nations and regional governments, note that remittances are vital to North African economies. North Africa is one of the wealthiest regions of Africa, due both to its proximity to European markets and its natural resources. Libya often has the highest GDP per capita of the continent since it produces large amounts of petroleum. Refer back to Module Nine, Activity Nine to see how the nations of Africa compare to each other. As you learned in Learning Activity Two, there is great diversity of wealth within North African countries, though the region’s nations (with the exception of Libya, which is slightly higher due to oil revenues) all have GDP per capita of $1000-$2000. This disparity of wealth and significant poverty, both in urban slums and in rural areas, are some of the factors that have lead to increasing anti-government movements, including fundamentalism. Urban Market in Fez, Morocco © Africa Focus: University of Wisconsin. 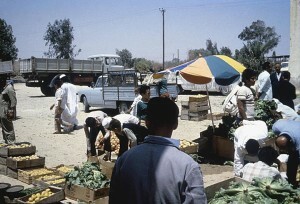 Libyan Rural Market © Africa Focus: University of Wisconsin. Like the rest of Africa, North African countries are called developing nations because they have a significantly lower GDP than the industrialized nations of Europe, North America, and Asia. Since shortly after World War Two, there has been a movement to “develop” the rest of the world in line with the industrial development of Western Europe and the United States and Canada. Throughout the course of this movement, the goals of this development have changed, from economic modernization to provision of social services to the poor to redesign of economic systems to political and social empowerment of populations. Development is more relevant to our lives than you may think. As globalization increases, the economic well-being of foreign nations becomes more and more important to our livelihood. Not only do we need markets to sell our goods, we need the raw materials, labor and other resources that African countries (and the rest of the developing nations) provide. As you may remember from the late 1990s, economic problems in one region (at that time East Asia) can reverberate around the world, instigating economic recession in a variety of places. This is not just true of our economic lives—as we can see in Afghanistan and Iraq, how we interact with other governments and people can produce not only terrorists but also allies, not only conflict but also peace. One of the tenets of development today is that all people have the right to self-determination, that no nation should be forced to follow a prescribed path to their future. 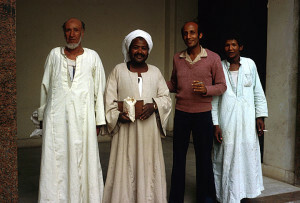 Egyptian Caretakers of Cairo Apartment Building © Africa Focus: University of Wisconsin. Development is also expanding beyond purely economic concerns. Development also relates to social-cultural change as well as environmental concerns. Sustainable development is based on a concept that no one should take more from the environment than it can sustain, and that we should leave enough for future generations. These messages highlight how people in the developed world, especially the United States, use far more resources than other people and that to be good neighbors, and to survive, we also need to change our behavior, and to develop new and better ways of conserving the world’s natural assets. Egyptian Shopkeeper Takes a Smoke Break © Africa Focus: University of Wisconsin. 1) Sustainable development is a very important concept in North Africa, as these nations deal with desertification and with their economic growth. Use the internet (you can start with the links suggested below) and your library to learn more about sustainable development. Working in small groups, brainstorm 15 ways that you and your families can reduce or change how you consume goods to be better neighbors to our North African friends. Be creative, go beyond recycling to other strategies that will have effects in your neighborhoods and beyond. As a class, choose one or two of these ideas, and design a campaign to convince your families and school to change. 2) End of Module Assignment. Looking over the North Africa Module, make a list of similarities and differences between the countries of North Africa. Recall your debate (Activity 1) about whether or not the region should be considered separate from the rest of Africa. As you examine the other regions of Africa, think about their similarities with North Africa and their links with each other. Is the international tendency to separate NA from the rest of the continent valid? As a class, stage a debate in which students representing each region argue for or against this classification.